After the World Trade Center buildings were destroyed in multiple terrorist explosions the government used this incident as an excuse to infringe on the privacy of the people. The " Patriot " Act was created by the current lawmakers of the land of mayonnaise this allowed it's government to legally listen to your phone calls, read your text, and watch your posts without any of the once mandatory additional paperwork by the courts. Fast forward seventeen years later, not only are some of these companies willingly handing over your intimate information to the #CIA, #FBI, #NSA, and other (un) intelligence agencies they ARE the Federal Government themselves! That means no more middle man between your most important info to the goons in government. They know every detail about you before you press "send". One such company is #TMOBILE who not only gathers your private messages and text, but also BLOCK you from communicating with certain people and establishments they are afraid of. They have even restricted listeners to #2RAW4TV. If you're on T-MOBILE towers ( like #METROPCS ) the time to DUMP these parasitical phone companies is NOW! Don't waste your time and money feeding these social media spies and haters for one more second. 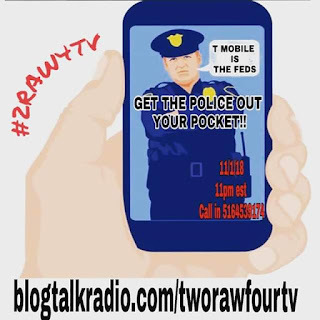 T-MOBILE IS THE FEDS, GET THE POLICE OUT YOUR POCKET! 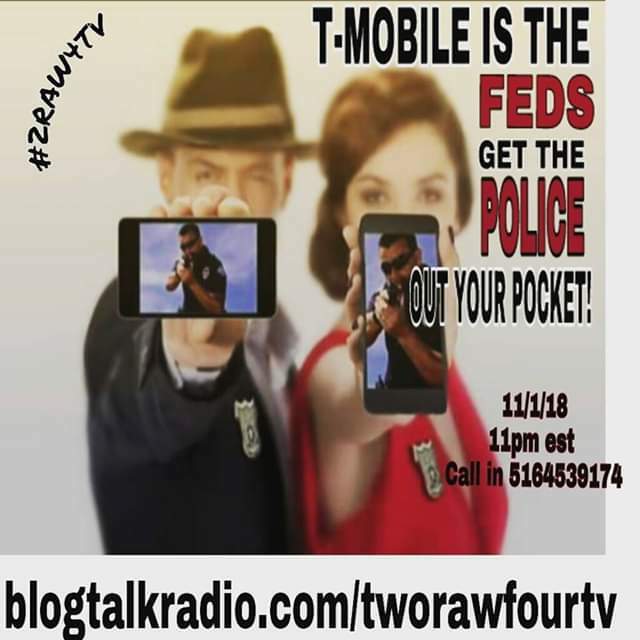 Before Thursday night, get rid of your T MOBILE device and call in. 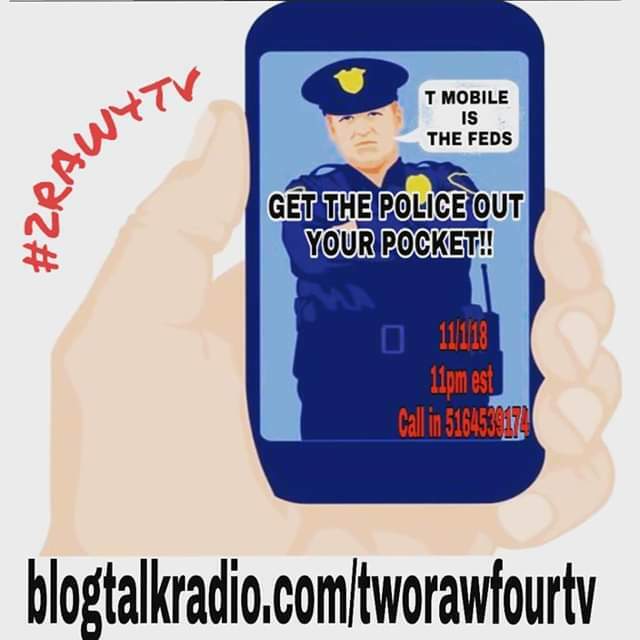 Next #2RAW4TV we will discuss the disgusting agendas of these agencies masquerading as companies and how to counter and beat these demons at their own evil game!